4,12 € прибл. 296,52 руб. The Heyday's Instrument Care Cloth is an instrument cloth, with a 400% absorption, and is easily divisible, extra soft and resistant to fraying. 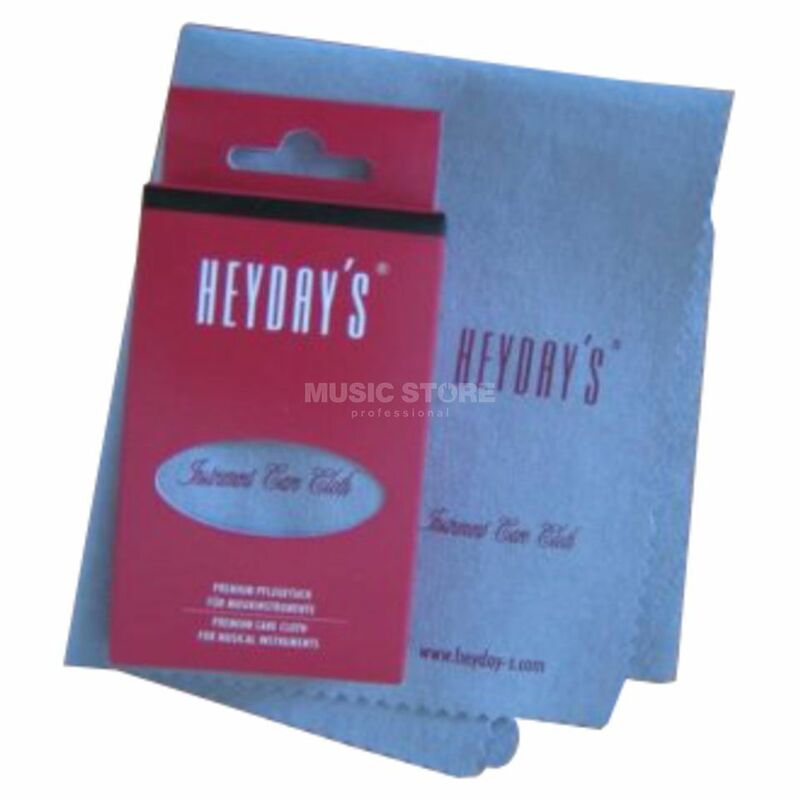 The Heyday's instrument care cloth is a non-woven, micro-filament high-quality cloth for your instrument's care and protection. Its threads are even finer and softer than those of common microfiber fabrics. Furthermore, they are non-woven, knitted, and compressed by the means of a jet. As a result, this specific material highly fascinates because of its advantageous structure with better cleaning effects and longer durability.